There is a freshening up going on the wine list of Findlater's and the man responsible for sourcing the new wines is Master of Wine Mick O’Connell. He was in Cork at the weekend and had a bunch of the new ones with him for a well-attended tasting in Bradley’s, Cork’s specialist off-licence and food-store. So new tastes at Bradley’s (established 1850) courtesy of Findlater's (established 1823). Oldies but goldies! The off licence was packed as the punters queued up to taste. I didn't get through them all - Culture Night beckoned - but enjoyed the Grand Bateau wines and also the Aplanta. 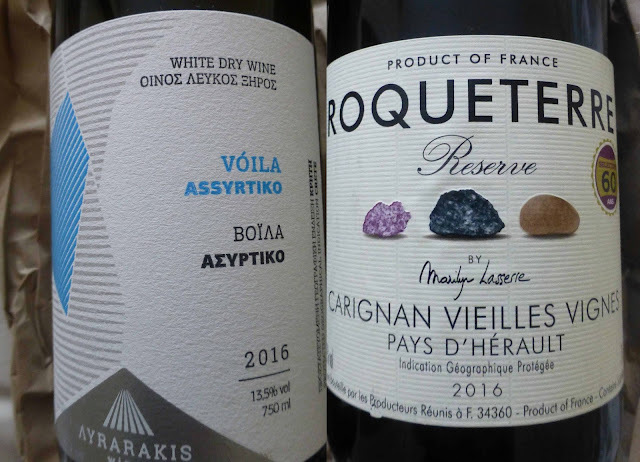 The Roqueterre though seemed to be the overall favourite and over the past few days I had the chance to sample that and the Assyrtiko from Crete. 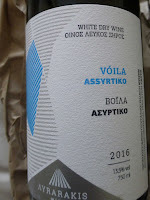 The Vóila plain and indeed adjacent areas in the east of Crete are regarded as ideal for Assyrtiko. “Our family discovered the quality potential of East Crete since the 70's. 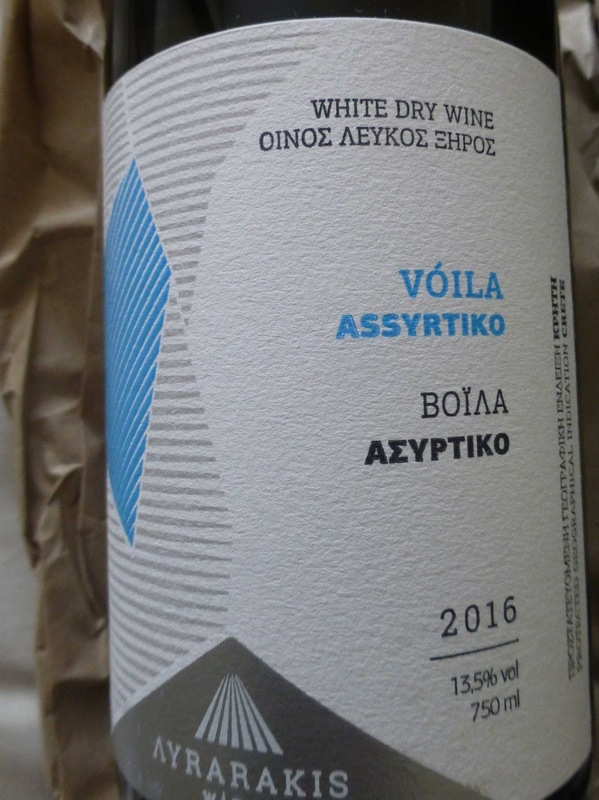 Originally on the “Vóila” plain and subsequently in the extended surroundings, we discover exceptional vineyards where the great grape variety thrives.” Quality is also helped by the hand-harvest “seeking to obtain a “proper fruit maturity”. Decanter gave this lovely wine no less than 91 points. The producers recommend serving it at 12-14 degrees and pairing it with “all seafood, grilled fish as well as white meat cooked with lemon”. It has a lovely gold colour and delicate aromas of white fruit. The ripe grapes contribute to rich fruit flavours and a good texture. There is though a matching acidity to balance and a very long and pleasant finish. Highly Recommended. This dark red wine, made by Marilyn Lasserie, was “flying out the door” during Findlater’s Culture Night Tasting in Bradley’s. Not surprised as it is an excellent well-priced wine and one of a host of new ones introduced to the catalogue by Mick O’Connell MW, our host on the night along with Adrian McAleer. 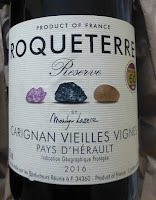 Aromas of the dark fruit kind, with a good share of spice, introduce the wine, made of Carignan, the grape described on the label as “a forgotten treasure” of the Languedoc area. Reserve is produced from low-yielding vines, some of which are over 60 years old. Dark fruit flavours follow through to the warm palate, smooth silky tannins there too and a long and uplifting finish. A pleasant wine indeed and Highly Recommended.